It’s my pleasure to interview New York Times Best-Selling Author Kate Jacobs, of The Friday Night Knitting Club fame. A British Columbia native, Kate Jacobs now makes her home in Southern California by way of New York City, where she spent ten years working as an editor and free-lance writer. She also authored Comfort Food, “…a multi-generational tale…(about) the foodie circuit.” Her newest release, Knit The Season, follow-up to TFNKC and Knit Two, goes on sale November 3rd. Natalie of Book, Line, and Sinker: There may be a few readers out there who still haven’t had the pleasure of reading your novels. In an effort to remedy this, how would you describe your novels as a group (or individually)? Kate Jacobs: Here’s my philosophy: In life, and in fiction, I try to always treat friendship as a relationship that deserves priority placement. In general, I write about women, our relationships, about emotional connection. The Friday Night Knitting Club series began with a story about how a group of very different women learned to become friends almost in spite of themselves and their various quirks. Knit Two and Knit the Season focus on how these women manage to remain a force in one another’s lives while still dealing with issues of their own. Essentially, it’s a series about women like you and me. BL&S: When you began writing The Friday Night Knitting Club, did you originally intend to develop the novel into a series? Was there a specific catalyst that brought about Knit Two and Knit the Season? KJ: Well, writing a first novel you never know if you’ll get a chance to do a second novel, let alone a sequel. 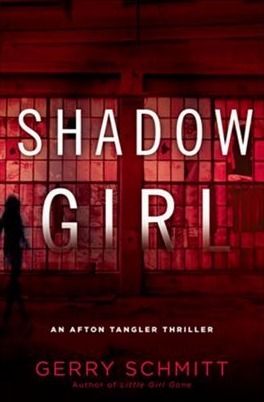 But I’m lucky that so many readers connected with the story and I received a lot of letters asking me if there would be a sequel. Once I finished Comfort Food, I felt eager and excited to return to the world of FNKC but I wanted to push things forward, so I set Knit Two about five years after the end of the first book. Enough time for the characters to be the same, and yet also to have moved forward in different ways. Knit the Season is a holiday book, a slice of happiness that the characters and readers have more than earned. BL&S: I hope you won’t totally disabuse me of my notion that life as a New York Times Best Selling Author is always glamorous–exchanging bon mots with other authors, mahogany roll-top writing desks, creative genius always running at full-tilt, gold Mont Blanc pens at your book signings–but what is it really like and how has your life and approach to writing changed, if at all? KJ: You make me smile. Ummmm my life isn’t quite like that. And I don’t just mean that I tend to still use ballpoint pens. Truthfully, I know more writers than I did before I was published, which is a privilege and a delight, but my day-to-day life looks remarkably similar to the day-to-day life I had before I ever published. I wake up in the same bed and I still wear my same ratty-but-comfy slippers as I stumble to the kitchen for juice. My life IS busier, with constant deadlines and a hectic calendar telephoning book clubs and traveling to book signings. But it’s a lucky thing to be busy like that! Look, maybe it’s because my mother reminded me, a millisecond after she learned I hit the NYT list, that I still had to do the dishes when I came for visits. (I didn’t realize there could ever even be a loophole about helping one’s mother!) In all seriousness, while I’m pleased and tremendously grateful for all the good things that happen and I’m not too proud to admit I cried when I made the bestseller list, it’s heady stuff for any writer and especially since it was a childhood dream. I think getting published reinforced just how fortunate I am to have a wonderful husband, great dog, dear friends. I already had all the good stuff. I am a writer, but more importantly I am a human being. And I try to behave accordingly. As for glamour, I am a disappointment: I write in pajamas, typically in my glasses, and am often at my desk long after I ought to be in bed. Translation: I look terrible! BL&S: Comfort Food offers a peek into the fictional life of a culinary doyenne who grows tired of maintaining the facade. Through your vivid characterization, Gus really came to life for me. What type of research did you do for this book and, of course, what’s your comfort food of choice? KJ: I snacked a lot. Well, I do that on every book! Like Gus’s best friend Hannah, I nibble on candy when I write. But, yes, I always do research. For one thing, I read tons of cookbooks, watched endless episodes on Food Network, and tried to make some Spanish dishes a la Gus’s nemesis Carmen. I also tried to bring in what little experience I have with the TV world a few internships back in the j-school days and interviews since being published. But I often try to back away from doing too much research because, as a former journalist, I never want to fall out of my imagination and feel I have to report. I want to make sure to stay in the fictional world. But it’s always about the human connection for me, and the cooking reality show is merely a backdrop as I explore the personal dynamics. As for my comfort food, I love my late grandmother’s buns so much that I shared the recipe in the back of the paperback. And I adore homemade mac & cheese and, of course, chocolate chip cookies. Homemade, of course! 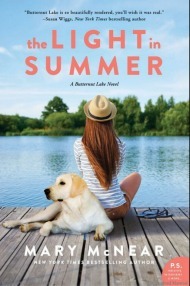 BL&S: I read that The Friday Night Knitting Club was optioned for a movie by Universal. Congratulations! Can you offer any additional details? KJ: Just that I’m excited and pleased and content to keep writing while Hollywood works its magic! Having a novel optioned for a movie with Julia Roberts is exciting but also surreal, you know? BL&S: As you embark on your multi-city book tour, would you please give a few details on the Lands’ End charity knitting project you’re involved in and how readers, fans, and knitters can help? KJ: Absolutely! In fact, I’ll have a box at every book signing to collect knit hats (and even scarves if that’s what someone wants to bring). The idea is to share some warmth. This project is a partnership between Lands’ End (the clothing folks) and Warming Families (a knitting charity) and the concept is for knitters across the country to make up to 25,000 hats by the end of the year. These hats are then being collected for people in need, particularly the homeless, and distributed in local communities. Now, I know most knitters like me have lots of odds and ends in their stash. So just think what a little time and energy and bits of yarn can accomplish? There’s a free pattern available and anyone can join in! BL&S: Thank you so much for paying a visit to Book, Line, and Sinker! It’s been a pleasure hosting you; all the best with Knit the Season! KJ: Thank you! It’s been a delight. Kate Jacobs will be on a nation-wide book tour starting in New York City on Tuesday, November 3rd. She’ll also be reading and signing in Atlanta, Chicago, Dallas, Edina, Fullerton, LA, Madison (both CT and WI), Milwaukee, Minneapolis, Oceanside, San Diego, St. Louis, and Studio City. For more details on her events, visit Kate Jacobs’s Events. If you have an opportunity to go to a reading and you’re a knitter, don’t forget to bring a hat for charity. To learn more about Kate Jacobs, visit her website. My sincere thanks to Lydia at G.P. 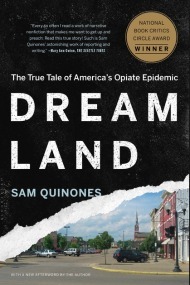 Putnam’s Sons/Riverhead Books for this wonderful interview opportunity! This is great! I especially like the quote “I often try to back away from doing too much research because, as a former journalist, I never want to fall out of my imagination.” As some who could easily get pulled into the research and lose track of what I’m looking for, I can see that this would be excellent advice. .-= Care´s last blog ..The Wednesday Sisters =-. 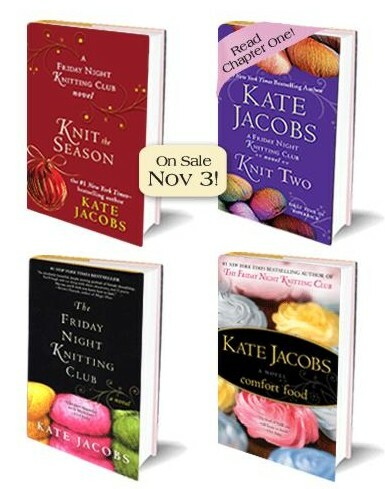 Kate Jacobs is one of my favorite authors! This is such a good interview and I didn’t know her first book is going to be a movie. YAH!! Did you get to meet her? She’s not coming to my state and I’m bummed to miss her tour. The charity knitting program sounds awesome too! I already advance ordered her new book and can’t wait to read it. Great interview! 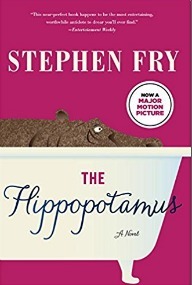 I’m one of the few who hasn’t read any of Jacobs’ work, but I’m glad to see one of her books has been optioned for a movie. .-= Meg´s last blog ..Book Blogger Holiday Swap =-. Great interview Natalie! I haven’t read her before but I’ll be adding her first book to my TBR list right now. .-= Dana´s last blog ..Layout a Day Challenge October 2009 Wrap up =-. Super interview Natalie. Great questions and informative and witty responses. I just read the first chapter of Knit the Season on her web site and will be picking up a copy tomorrow. Congrats to Kate on all her successes. I admit I haven’t yet read any of Jacob’s books, but I’m a knitter (and a cook) and I love to read — so what’s holding me back? I love to knit for a purpose, so I’ll be downloading that free pattern and going through my yarn stash. All the novels sound like something I would love — besides I have to support a fellow editor and freelancer. .-= Beth F´s last blog ..Today’s Read: Meet the Austins by Madeleine L’Engle =-. 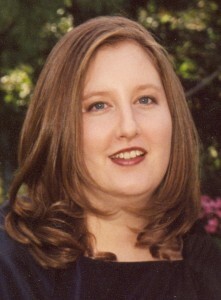 .-= Susan´s last blog ..An Interview with Author Kate Jacobs =-.